Perhaps you are starting a cooperative business or maybe you are transitioning an existing business to a worker-owned cooperative. Though the process is only a little more complicated than a standard incorporation, a separate set of legal statutes apply. Called “cooperative law,” these statutes form a parallel structure to standard incorporation. For worker cooperatives, state laws can be sparse or even non-existent. The state of Colorado, however, offers a robust statutory framework for worker cooperative incorporation. We submit that Colorado could potentially become the “Delaware” of cooperative law: the place where many businesses from out of state seek to incorporate their cooperatives because of its beneficial legal environment. Just as standard corporations take advantage of Delaware’s incorporation laws, you could form your cooperative business in Colorado and then qualify it to do business in your state of choice. Colorado has several natural and under-appreciated advantages. Its cooperative statutes can be used in any industry. For example, groups can and have formed cooperatives in the retail, construction, craft beer, co-working, business accelerator, housing, restaurant, grocery store, law firm, service sector, on-line platform technology, tech industry, manufacturing, purchasing, forestry services, transportation, and other industries. In fact, there are more than 184 cooperative corporations, and 54 Limited Cooperative Associations (LCAs) registered in Colorado. In Colorado, the cooperative business model can be used for any group wanting to form a business. Although Colorado has cooperative statutes for housing, the renewable energy industry and credit unions, we focus below on the general business statutes regarding cooperatives. Colorado’s Title 7, Article 56, is the “standard” cooperative corporation statute that is used for many cooperative formations. As a cooperative corporation, the cooperative has a board of directors, bylaws that govern operations, and the all-important one-member, one-vote requirement. This so-called Article 56 cooperative is a general purpose cooperative statute. Colorado is one of a few states to have adopted the Uniform Limited Cooperative Association Act (“ULCAA”). Title 7, Article 58, contains the Colorado Limited Cooperative Association Act (“LCA”), which was passed in 2010. ULCAA has now been adopted in six states and the District of Columbia and is pending in Washington. Variations have also been adopted in states such as Minnesota and Wisconsin. In some ways, California’s recently adopted Worker Cooperative Act (AB 816) drew from ULCAA to create greater flexibility and the ability to raise outside investment capital. ULCAA retains central cooperative principles and “guard rails” but permits outside “investor-members” to have limited voting rights and a share of revenue or profits. Until recently, these two features were largely viewed as anathema to cooperative self-ownership and sovereignty. Decades in which cooperatives have struggled to grow, scale up and raise equity investment capital gave rise to a new, more flexible cooperative form, the LCA. The LCA is a hybrid entity, pairing the features and controls of more traditional corporate governance with the flexibility of an unincorporated entity, like an LLC or a limited liability partnership. Additionally, Colorado is one of only a few states that has mated its Public Benefit Corporation statute (Title 7, Article 101, Part 5) to its three cooperative statutes. This means that not only can a cooperative choose from among three general purpose cooperative statutes, it can also elect to layer on the added protections and benefits afforded by the Colorado Public Benefit Corporation Act. Colorado has another advantage over “business-friendly” places to incorporate. Colorado’s entire business filing system is electronic and most forms have been adapted into template e-forms with discrete fields to complete. Only supplemental information needs to be provided in an attachment. All cooperative-related filings can be submitted through the Secretary of State’s website. The Secretary of State has seen fit to provide plain and simple FAQ’s and descriptions of legal entities, including cooperatives. All filings are publicly accessible and can be downloaded free of charge. This stands in contrast to some states, like Delaware, that put the same filings behind a paywall and will only produce documents in hard-copy. Colorado’s business filings are among the least expensive in the country. A complete schedule of filing fees is here. As two important trends continue — baby boomer business owners retiring and considering options to convert their business to employee ownership, and social purpose entrepreneurs working to build a more just and fair economy — choosing the right entity form and place to register the business become more important. A business need not be limited to its primary state of business. 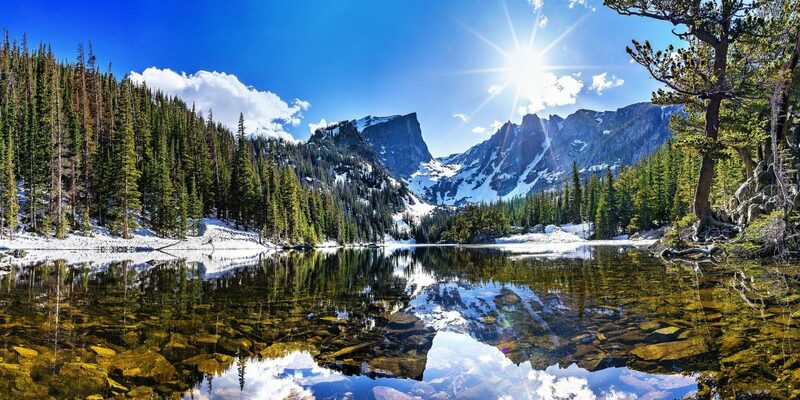 Next time a business advisor or attorney suggests incorporating in Delaware, we invite you to tell them there is a new Delaware when it comes to cooperative law, and it’s nestled in the Rocky Mountains.